Introducing a new feature here on Eat to Blog: Forgotten Herbs. Most people can name a handful of herbs. Certainly there’s the Simon and Garfunkel quadrumvirate of parsley, sage, rosemary and thyme. You put dried oregano on your pizza, and cilantro in your salsa. But there are literally dozens of other herbs that most people never use. You’ve probably skimmed over them in the spice aisle in your local supermarket. Well, no longer will these herbs be relegated to the sideline. Let’s begin celebrating the forgotten herbs! 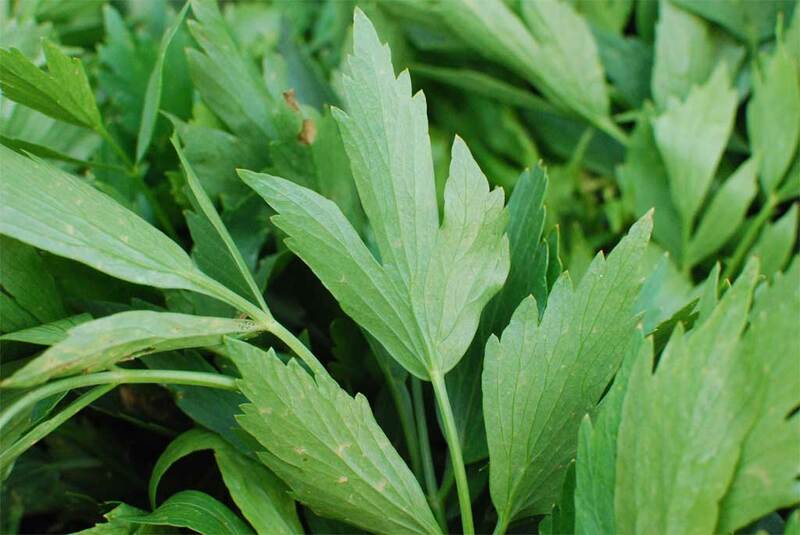 Lovage leaves resemble those of its cousin, celery. The flavor is similar as well, though a but more pronounced than celery tends to be. I’ve used it as a substitute for parsley; chopped up and added to a dish at the end lovage adds a nice herbaceous quality to something like pasta or mashed potatoes. You can also use it along with celery/onion/carrot as a base for a great stock. My favorite thing about lovage is the name — it was once thought of as an aphrodisiac, and became the main ingredient of many love potions.